Come join us at Belle Grove Plantation during some of our exciting Special Public Events! From Living History with historic performers to Afternoon Teas and VIP Dinners, there is something for the whole family! For More Information on our Afternoon Tea, please visit our Tea page. Aftenoon Tea and Group Readings – SOLD OUT! Throughout childhood JMarie was always searching for a connection with her own mother who was on Spirit side. Though her gifts were there, it wasn’t until many years later when her awakening would begin after some unexpected life changes. She herself felt compelled to seek out a medium, allowing her to hear those messages she had always longed for from her mother, that would forever change her life. This leading her to find her renewed faith, spirituality and development of her own Spiritual gifts. 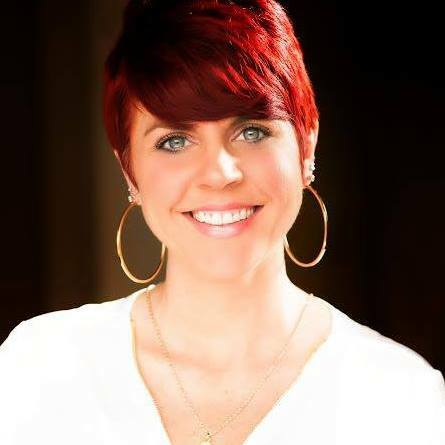 Through her development for the past few years, she has found that she not only connects with your loved ones, but works with guides, angels and past lives as well. She finds that the Divine aids her throughout her readings, bringing in and connecting with the Link of Love. To give you an overview of JMarie, she is an Evidential Spiritual Psychic Medium, Reiki Practitioner, and an Ordained Minister. As she connects with the link of love, using evidence for validation, she finds that the evidence can be anything from birthdays, personalities, memories, names, remote viewing and more. All depending on the connection and link I have with your particular loved one(s) from the Spirit side of life. In every sitting/reading, the process is the same, yet different. There are several ways a person in Spirit can communicate, and it’s all about how your loved one(s) feel it’s easier to connect with me. Whether that is seeing, hearing, feeling, etc. The process of Mediumship / Psychism is like a puzzle, one that is filled with smiles, tears, love, memories, and more as we place the pieces together throughout your sitting/reading. She offers a unique style of card reading to accompany psychism, connecting with your loved ones, guides, and more. She enjoys using Reiki Energy if Spirit directs us to do so, to help in balancing your energy, centering, clearing of chakras, aura, and aiding in the healing of ailments and uses the energy when viewing and/or clearing past lives and more. She finds that in her readings, it’s a moment to recreate a memory, a moment…… Bringing your loved ones to sit with you once again. JMarie will be coming to Belle Grove Plantation for two days of Private Readings, a Tea Party with JMarie with a Group Reading Session. Due to popular demand, we have set all private readings at 30 minutes and will only have one person in the session at a time. The Group Session will be one hour. Overnight Suites are still available – We have taken the suites offline for exclusive use for this event. Please book directly by calling 540-621-7340. •Please arrive no earlier than 15 minutes before your scheduled time. •Readings are one-person session only. Please do not bring family or friends to wait for you. If you bring additional people, they will be asked to wait in your car. •Due to popularity of this event, we are only offering one appointment per person. Please do not purchase two half hours to get a one-hour appointment. •During the Private Reading Session, Belle Grove Plantation’s mansion will be open for tours from 1pm to 4pm. If you wish to tour the mansion, you are more than welcome to do so before or after your session. The mansion tour is 45 minutes and costs $15 per adult. •You may cancel your reservation up to March 30th for a full refund. Cancellations or no shows on or after March 30th will be non-refundable. We love having all ages at Belle Grove for Afternoon Tea. But we would like to limit the youngest to 5 and older please. Due to the nature of Afternoon Tea, we are sorry, but we are not able to accommodate gluten-free, sugar free or dairy free diets for this event. We work hard to place all family and friends together. You may need to share a table with other guests as well. Belle Grove Plantation is the birthplace of President James Madison. His mother, Nelly Conway Madison was born and raised at Belle Grove and returned to have her first child, James in 1751. On May 11th and 12th, Belle Grove Plantation will celebrate that special person in everyone’s life… Mom. Come enjoy a special Afternoon Tea in the mansion or overlooking the river on Saturday or Sunday. 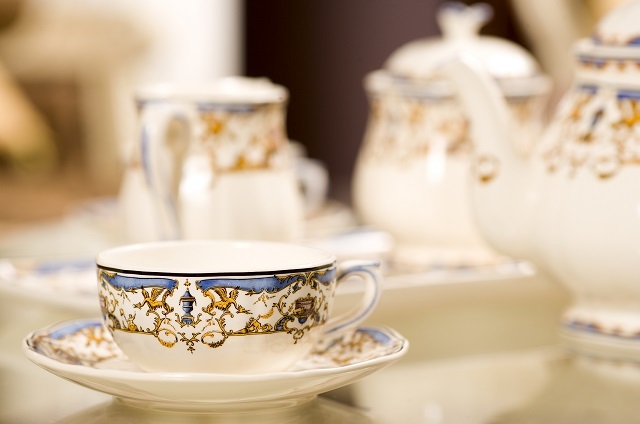 Treat your mom to a delightful one-hour seating of scones, tea sandwiches and petite desserts with pot of our Exclusive Belle Grove Plantation Tea Blends. After tea, tour the mansion and see our antiques that date from 1720 to the Victorian Period in their “natural habitant”. Hear the history of Belle Grove Plantation’s families from the Conway Family to current residents, the Darnell Family. On Saturday, enjoy shopping at our Spring Bazaar on the front lawn from 10am to 3pm with vendors galore. Make your special memories with Mom by booking your reservations today. Reservations are required. Our Afternoon Tea is a one-hour seating for groups of 2 to 8. We are sorry, we are not able to accommodate gluten-free, sugar-free or dairy-free dietary needs. To book your reservation, please call us directly at 540-621-7340. All online reservation have been blocked for this special event. A credit card is required to hold your reservation. Special Note – If the weather doesn’t permit the Portico or Riverview Grounds, reservations will be moved inside. Come enjoy a day at the Plantation with the family at our Spring market place with vendors from arts and crafts to specialty items. Explore Belle Grove Plantation’s Historic Mansion on our Historic Mansion Tour. Food and Music for all to enjoy on this beautiful summer day at the plantation. Open to the public for free! Come shop our Bazaar Market and find treasures to take home! See the historic mansion and learn about its previous families, architecture and antiques. Tours will begin at the top of the hour starting at 10am and run until 3pm. Email our event director, Yadi Velazco at events@bellegroveplantation.com to receive your vendor application. From April 1670 to the present, Belle Grove Plantation has stood as a witness to America’s Historic Events. The birthplace of President James Madison as well as his mother, Nelly Conway Madison’s childhood home, Belle Grove has been the site of many events throughout history. President George Washington was a frequent visitor here. Held as a Union Headquarters from 1861 to the end of the Civil War, Generals Lee, Jackson and Burnside have all stepped foot here. In 1865, the Union Detachment pursuing John Wilkes Booth stopped for the night and slept here. On August 1, 2013, Belle Grove Plantation was opened to the public for the first time. As a bed and breakfast, historic site and special event venue, Belle Grove Plantation has welcomed visitors from all over the world. In Celebration of America’s History, we will be opening Belle Grove Plantation’s Historic 1791 Mansion for one-hour tours on Thursday, July 4th from 10am to 4pm. 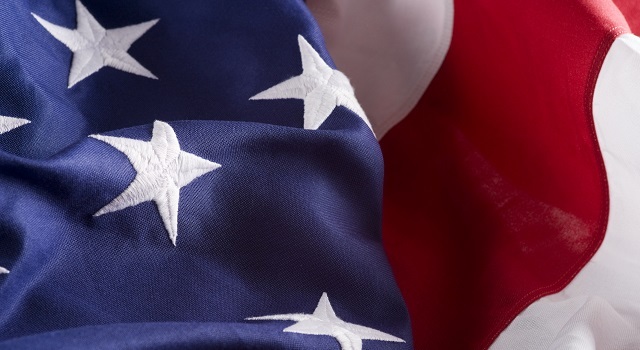 In celebration of 4th, we will offer a special price of just $5 per person (all ages) for this one day. Each paid tour will get the opportunity to enter for special door prizes. We invite you to come and see our historic mansion and walk were great men have walked. Advance tickets may be purchased online and are highly recommended. May be purchased online or at the door. Due to the number of people, we recommend purchasing your tickets in advance to ensure your space. He’s just a hunk a hunk of burning love! And he will be your “Teddy Bear” for the afternoon as Belle Grove Plantation hosts Elvis for Afternoon Tea. 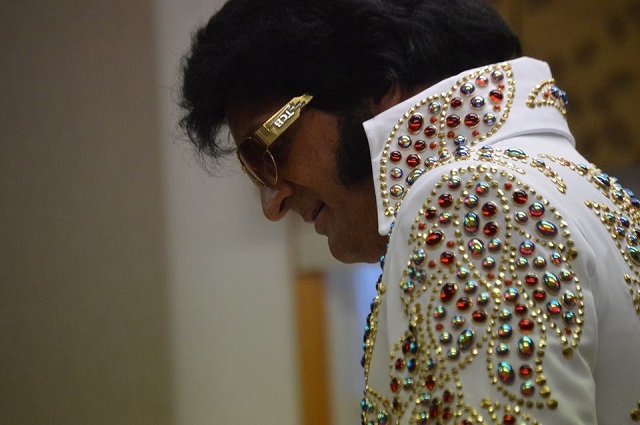 Turn back the clock to the 1960s when the King of Rock and Roll ruled Las Vegas strip. Enjoy delights made from recipes favored by the Elvis. Enjoy your cup of afternoon tea while Elvis sings about “Heartbreak Hotel” and asks if you are “Lonely Tonight”. We are sorry, but we are not able to accommodate gluten-free, sugar free or dairy free diets for this event. Come experience the pleasures of the palate from featured Virginia Wineries and Distilleries. Enjoy live music from regional bands, delicious food options, unique artisans and crafters and sign-up for a corn hole tournament. Beer will be available to purchase by the glass. All proceeds from this event go to benefit the James Madison Belle Grove Foundation. This non-profit organization is committed to assist in the preservation, restoration, improvement, maintenance and education of the public about Belle Grove Plantation and its amazing American History. Belle Grove Plantation, birthplace of President James Madison, is a historic Virginia Landmark set on a sprawling 694 acres. Walk in the steps of history while enjoying the beauty of the grounds. Bring your lawn chair and tent or shelter and enjoy an afternoon on the banks of the Rappahannock River. Tents & Shelters must be weighted and secured or will be asked to be removed. Tickets include access to the festival, free sample wine glass, wines and distilled spirits samples, great live music and delicious food options. Parking is free. We encourage you to bring lawn chairs, tents and blankets. Are you a direct sales, arts and craft, food or beverage vendor? We have spaces open for our Spirits Festival! Come join us as we celebrate the talents of our local artist for an evening of art exhibits hosted by Two Rivers Art Studio and Spotsy Art Festival. Each room in our mansion and an additional outside tent will present local artist with unique styles and mediums. While you enjoy our art show, indulge in “artistic” culinary delicacies with Pifer Brothers BBQ Company as they prepare an oyster roast with crab cakes and chicken that will delight your taste “palate”. 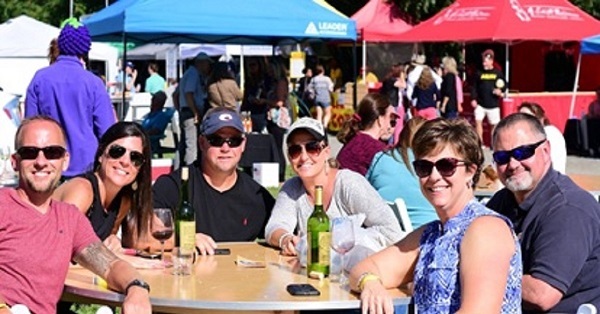 Sample the craftsmanship that create some of the best wines, distilled spirits and tobacco products while you enjoy live music under the stars and overlooking the river. Virginia’s Castle Glen Estate Winery will be on hand to pour the fruit of their labor. Born out of their love of fine wines, Castle Glen Estates Winery has become the premiere boutique winery for the best Cabernet Sauvignon in Virginia. Virginia’s Copper Fox Distillery will showcase their combination of innovation and tradition to produce a whisky that is truly unique and in the grand and storied tradition of the Scotch techniques that was their inspiration. Hogshead Cigar will bring some of the best cigar to gratify the pickiest of smokers. Sitting back in the cigar lounge overlooking the river with a glass of Copper Fox whisky and life couldn’t be any sweeter. Tap you toe or sing along with the Clay Mottley band as they fill the night air with classic rock music. Come support the James Madison Belle Grove Foundation and our local artist and businesses with an evening of fun, food, music and art. You will need to select your meal choice at purchase. You may cancel up to Sunday, August 11th. After August 11th, tickets are non-refundable. This is not a formal event. Come comfortable! There is no assigned seating. Tables will be placed on the bluff overlooking the river. Join a table and make new friends! If the event is rained out, an alternate date will be scheduled later. Tickets will not be refunded, but a rain check will be issued. This event is for adults 21 years and older. No one under 21 will be permitted entry. Belle Grove Plantation reserves the right to stop drinkers that have had too much and/or ask that drinkers to leave with their designated driver or taxi at their expense. Please drink responsibly. Have a designated driver or taxi service for your drive home. 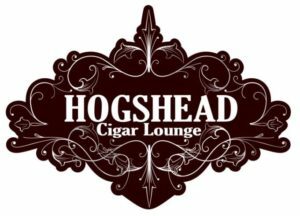 Cigars will only be allowed in the cigar lounge with Hogshead. Please do not leave the lounge with your cigar. Belle Grove Plantation is a non-smoking venue. Belle Grove Plantation in King George, Virginia is the historic property established in 1670 and is the birthplace of President James Madison. The current home was built in 1791 and has seen many events in American history including the Civil War. Known as one of the Most Haunted Plantations in Virginia, Belle Grove Plantation’s haunted reputation was cemented by a visit from the TAPS team on SyFy’s Ghost Hunters in February of 2014. Many paranormal teams have followed to conduct their own investigations only to confirm the active haunting. 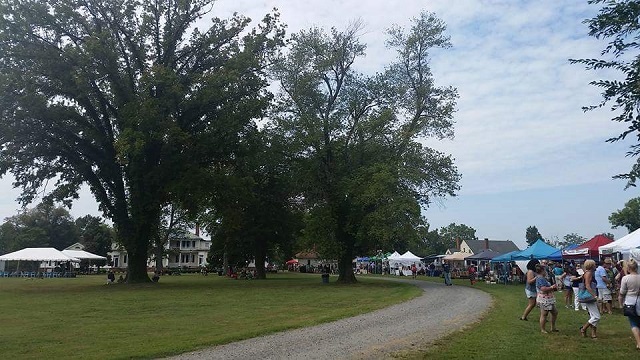 Most recently, Belle Grove Plantation was investigated by the Travel Channel’s Kindred Spirits in November of 2018. This paranormal and spiritual weekend kicks off with a Special VIP Friday. Early VIP Registration check in and VIP Meet and Greet Reception followed by an evening of VIP paranormal investigations. Saturday and Sunday will offer special lectures, a Q & A Panel, Gallery Reading with paranormal and spiritual vendors with equipment and specialty items available for purchase. A full day of special events will be followed by an evening of paranormal investigations on Saturday only. Join us as we assemble paranormal researchers and spiritual members for a three-day special event this September. Are you a paranormal or spiritual vendor? We have spaces open for our ParaCon Festival! Click Here for more detail on our Paranormal page!